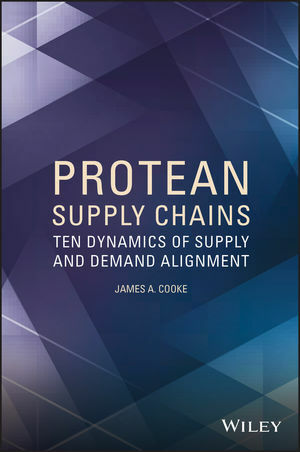 Beginning with the assertion that supply chains are an overlooked factor behind anemic economic growth, Protean Supply Chains: Ten Dynamics of Supply and Demand Alignment provides a comprehensive overview of the developments occurring in the field of supply chain management. A broad range of topics in facility location, inventory, strategic sourcing, and supply chain coordination are addressed in addition to coverage of major developments within the field. The author’s main position is that supply chains must be more than agile or flexible; rather, they must become protean and capable of changing shape in response to a volatile global business landscape. The book is an ideal reference for professionals and practitioners in operations research, business/management science, applied mathematics, and industrial engineering as well as an appropriate supplement for undergraduate and graduate-level courses in supply chain management. James A. Cooke is Editor of Supply Chain Quarterly and has more than thirty years of experience covering topics including industry, supply chains, software, and technology for business magazines. He currently reports and writes on supply chain trends, supply chain best practices, and industry developments. A recognized global expert on supply chain strategy and technology deployment across numerous industries, he is recipient of the American Society of Business Press Editors award for his insights on supply chain trends.